Geoff qualified from Glasgow in 1988. He is recognised by the RCVS as an Advanced Veterinary Practitioner in Small Animal Surgery. He worked in Northern Ireland in a mixed practice for 8 years before moving to England and working as a small animal vet for 10 years. During this time he gained a certificate in small animal surgery and was Senior Veterinary Surgeon for PDSA Gateshead. 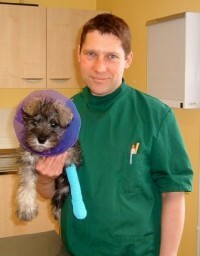 He moved back to Northern Ireland and opened Advance Veterinary Care in 2006. He is a “cat advocate” for the practice. Geoff loves to spend his spare time with his wife, three young children and multitude of pets. 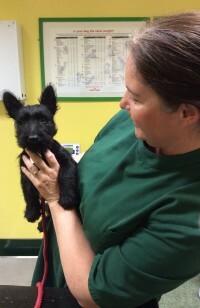 Karen qualified in 1998 from Edinburgh Vet School. Lisa qualified in 1992 from Dublin. 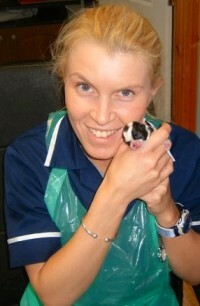 She worked in mixed practice in Northern Ireland, before joining Advance Vets in 2008. She has 3 children who keep her busy outside of work and still enjoys some large animal work helping out on her home farm. Emma is a “cat advocate” for the practice and has worked hard towards achieving cat friendly status. 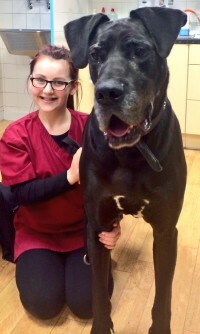 She continues her studies and is a Pet health Counsellor, dental oral care nurse and weight consultant. She has worked in the veterinary industry for over 17 years. Working for the PDSA in England before moving to Northern Ireland in 2006 to fulfill her dream Advance Veterinary Care. Emma has two boys and a girl who keep her busy along with an expanding number of pets including 2 miniature schnauzers dogs, 4 pygmy goats, a rescue cat called Tom, hens and goldfish. 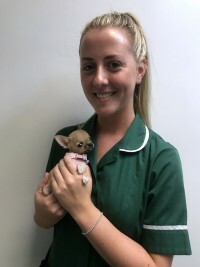 Jill has been in the veterinary profession for over 12 years, qualifying as a registered veterinary nurse at Greenmount College, Antrim in January 2012. Jill has one son, two dogs called Daisy and Willow and three Guinea pigs called Millie,Molly and Moo. She likes to socialise with friends in her spare time and also produces handmade cards. My name is Erin Morrison and I completing a Level 2 Certificate for Animal Nursing Assistants at Greenmount College. 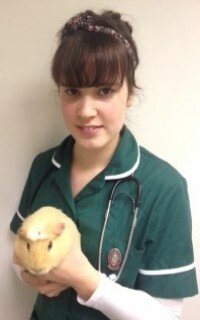 I hope to go on to study City & Guilds Level 3 Diploma in Veterinary Nursing. I have always wanted to work with animals from when I was very young and my aim is to become a Registered Veterinary Nurse in the future. I really enjoy working at Advance and find everyone here to be a great help. 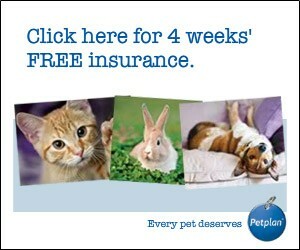 I have three types of pets; Goldfish, tropical fish and a Budgie named Bobbieâ€¦they are great pets! I have lots of hobbies including cooking and baking but I also enjoy going out and socialising with friends, reading, long distance walking, swimming and painting nails. 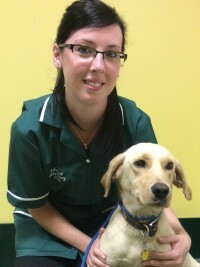 Dee has worked in the veterinary industry for over 10 years. She is also a qualified human dental nurse. 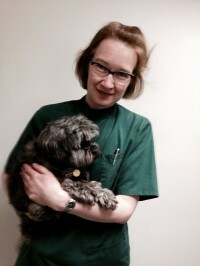 She is equally happy giving oral health advice for her small furry patients so don't hesitate to ask. Charlotte joined Advance Vets in 2017.